Kansas City, Mo. — Missouri Southern sophomore pole vaulter Emily Presley has been named the MIAA Women’s Co-Field Athlete of the Week, the league announced today. Presley earns her third weekly honor this season. For the fifth-straight meet, Emily Presley won the pole vault this season. 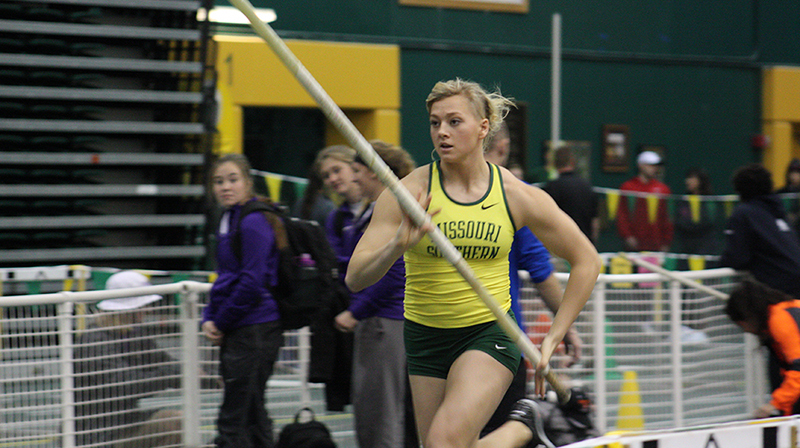 She won the event at the MSSU Lion open as she hit a mark of 13-03.75 which is an AQ in the event. It is the fourth time this season she has had an NCAA AQ in the event. Presley and the Lions are back in action this week as the team will have split squads at both Nebraska and Central Missouri.